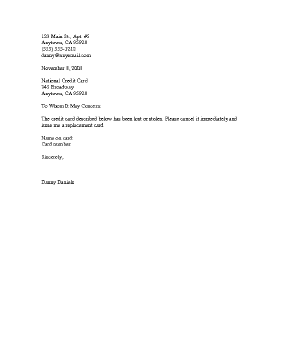 A customizable letter template with which to report lost or stolen credit cards. The credit card described below has been lost or stolen. Please cancel it immediately and issue me a replacement card.